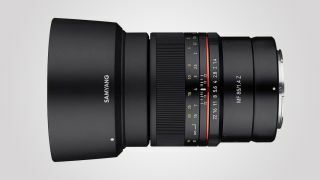 Third-party lens manufacturer Samyang has unveiled a triplet of Nikon-specific wide-aperture lenses, including two options for the company's latest Z-mount bodies. The MF 14mm f/2.8 Z and MF 85mm f/1.4 Z are some of the first third-party lenses developed for Nikon's latest mirrorless mount, as featured on the Nikon Z6 and Z7 bodies. Nikon's DSLR owners also have a new arrival to get excited about. The AF 85mm f/1.4 F has the honor of being Samyang's second optic for Nikon F-mount bodies, following the arrival last year of the AF 14mm f/2.8 F. The lens features an autofocus system and a nine-bladed aperture for circular bokeh, and promises edge-to-edge sharpness at even wider apertures. There's no word on pricing for the new lenses as yet, although Samyang has said it will be exhibiting the new optics at the China International Photograph & Electrical Imaging Machinery and Technology Fair (China P&E) 2019 in Beijing, which runs from April 12-15.